Faber Piano Adventures. Educational, Method. Instructional book. 40 pages. Faber Piano Adventures #FF1082. Published by Faber Piano Adventures (HL.420175). The 2nd Edition Level 2A Theory Book has thematic tie-in with the Level 2A Lesson Book, inviting students into the pages for deeper understanding. A wide variety of theory activities engage students with eighth notes, phrases, transposition, and 5-finger scales. Composer biographies provide valuable context for Lesson Book pieces while helping students review key concepts. Magnífico para que empiecen los niños a estudiar piano. 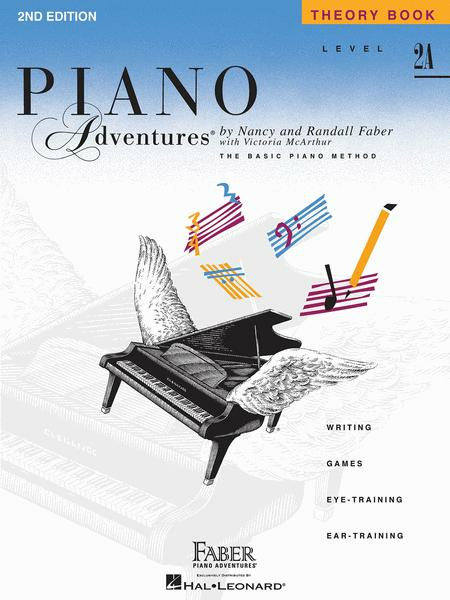 I really like the piano adventures series. My students have been very successful studying in this series. I really like the way the pages in the theory, technique and performance are correlated and notated at the bottom of the pages to go along with the lessons book. 25 of 52 people found this review helpful. During 41 years of teaching piano, Piano Adventures proved to be the most favored of my students as well as myself. Retired now but teaching my grandchildren, and again using the Piano Adventures with excitement!